Recruitment Consultant Stockport | Up to £24,000 + more! There’s no long hours or weekend shifts, it’s just Monday to Friday 9am-5.30pm, ensuring you get the work-life balance right. You will be working with an experienced Branch Director who knows exactly what it takes to succeed in Recruitment. In return for your hard work, we offer a competitive salary, real career development, extensive training, support, and an excellent benefits package. Salary is negotiable between 16 – 24k initially depending on experience, with a realistic OTE of 35k once established. Our top billers are earning upto 85K! 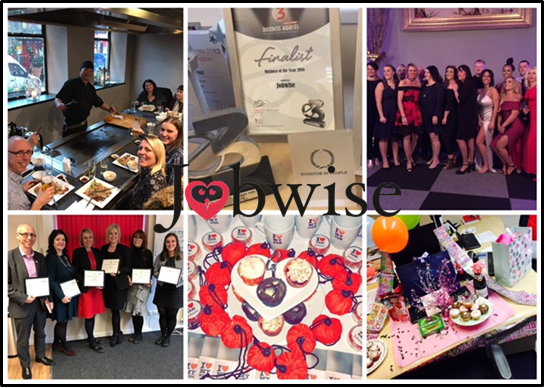 To join our team at Jobwise, it’s not always essential that you have experience within recruitment. As long as you have a knack for sales and are great with people, you’ll fit right in! 24 days annual leave, plus a day off for your Birthday! We aim to respond to all successful applications within 2 days.